Save 10% on supplies with your Phaser 3330 purchase (available at checkout). With print speeds of up to 42 pages per minute, 1 GHz of processing power, and 512 MB of standard memory, you’ll get your prints faster and spend less time waiting. 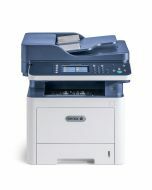 Your documents will show exceptional sharpness with up to 1200 x 1200 dpi image quality. Thanks to standard internal Wi-Fi, you can put your Phaser 3330 where you need it and print from nearly anywhere. 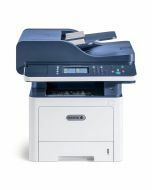 Our Wi-Fi installation wizard and Wi-Fi Print Setup (WPS) make getting connected secure and simple. And, with Wi-Fi Direct®, mobile devices can connect directly and securely. 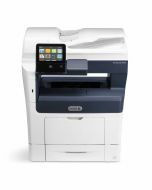 With support for Apple® AirPrint™, Google Cloud Print™, Xerox® Print Service Plug in for Android™ and Mopria®, you can print emails, photos and important documents from a wide range of mobile devices, instantly, and without complicated setup. Print from a USB memory drive right at the device. 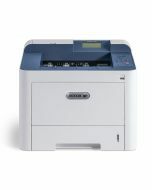 You can even print directly from the cloud with a few simple steps. Keep your sensitive documents away from unintended recipients with the latest security features, including IPsec, SNMPv3, IP Filtering and Secure Print. Available high capacity print cartridges reduce your total cost of ownership and downtime with less frequent supplies replacement. Product Size Dimensions: (WxDxH) 14.4 x 14.4 x 11.4 in. ; Weight: 23.37 lbs. Media Sizes Bypass Tray: 3 x 5 in. to 8.5 x 14 in. ; Main Tray: 3.9 x 5.8 in. to 8.5 x 14 in.